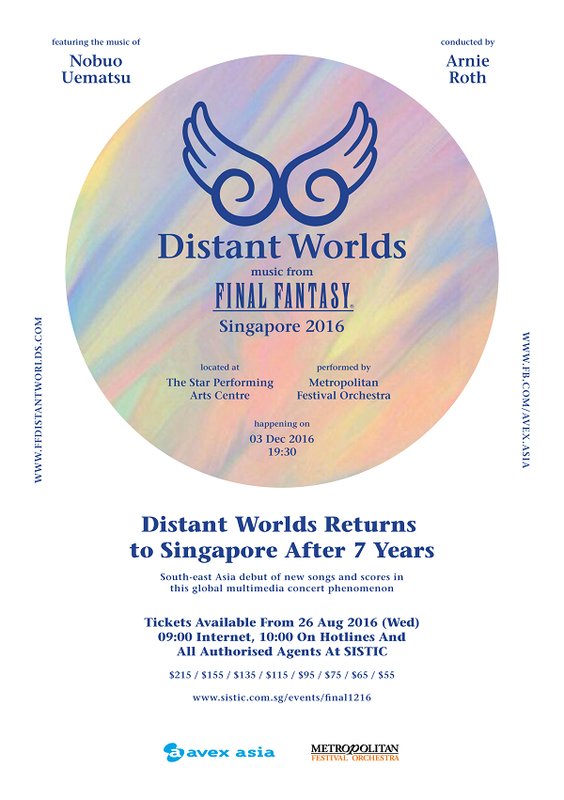 Distant Worlds: music from FINAL FANTASY symphony concert world tour returns to Singapore after seven years. The global multimedia concert phenomenon, featuring the music of FINAL FANTASY, will hold a one-night-only performance at the Star Theatre on 3 December 2016. Presented by Avex Asia, Distant Worlds showcases the music of Japanese video game composer Nobuo Uematsu and is conducted by Grammy Award-winning conductor Arnie Roth. 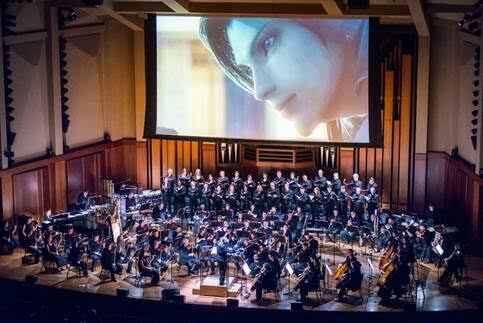 With exclusive HD video content from legendary game developers SQUARE ENIX, the multimedia experience combines stirring screen images to match the soaring emotions of a symphony orchestra. The Metropolitan Festival Orchestra, Singapore’s only fully-independent professional symphony orchestra, will perform music from the world-renowned FINAL FANTASY video game series. The Singapore concert follows the recent screening of the “Kingsglaive: Final Fantasy XV” movie in Singapore. The highly anticipated worldwide release of FINAL FANTASY XV, the role-playing video game 10 years in the making, is also slated to be released in 2016. Music plays an integral role in today’s games, enhancing the players’ overall experience. While still a growing market, video game soundtracks are sold in major outlets and include a variety of genres such as rock, hip-hop, electronica, classical compositions, and songs performed by popular artists. The FINAL FANTASY soundtracks, which are original compositions, have grown so popular that TIME magazine named series composer Nobuo Uematsu a notable “Innovator” in its “Time 100: the Next Wave Music” feature. Tickets for the Singapore concert will be available via all Sistic platforms starting 26 August 2016. To purchase tickets online, please check out www.sistic.com.sg/events/final1216. For more information on Distant Worlds, please check out www.ffdistantworlds.com. December 3, 7.30pm (Doors open from 6.30pm) – The Star Theatre – On Sale August 26.